Located in both Greenville and Spartanburg Counties, Greer is one of the fastest growing cities in South Carolina with public service needs growing right along with it. The Jean M. Smith Branch Library, a Greenville County library in Greer, is the oldest of nine prototypical designs that first opened to the public in 1995 with other branches opening over the next ten years. Twenty-three years later, CGD was commissioned to re-envision the existing 11,500 SF library and add 5,000 SF to allow the library to expand patron services, increase staff efficiencies, and integrate state-of-the-art technology. With a new children’s program room and designated teen space, the library is strengthening its commitment to encouraging young minds. 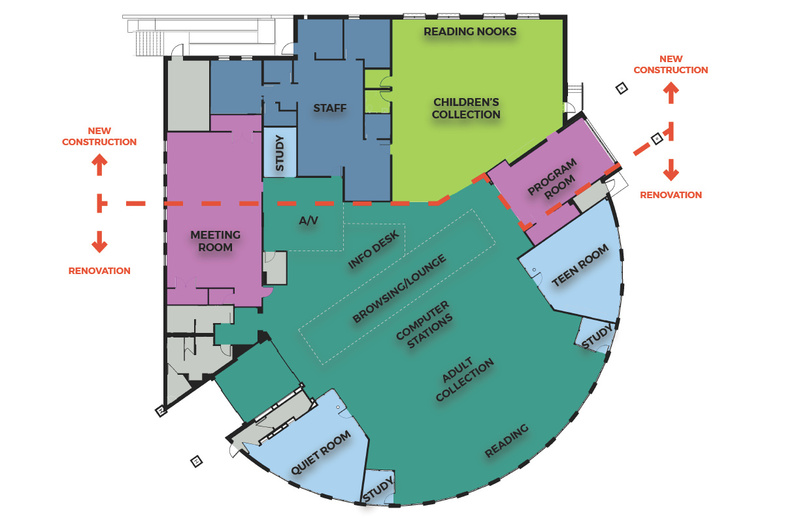 Overall, the library’s new look is balanced by cues the design team took from historic Downtown Greer. Millwork in the teen area harkens back to bustling railroads while floor patterns in the children’s room are resonant of once thriving textile mills. 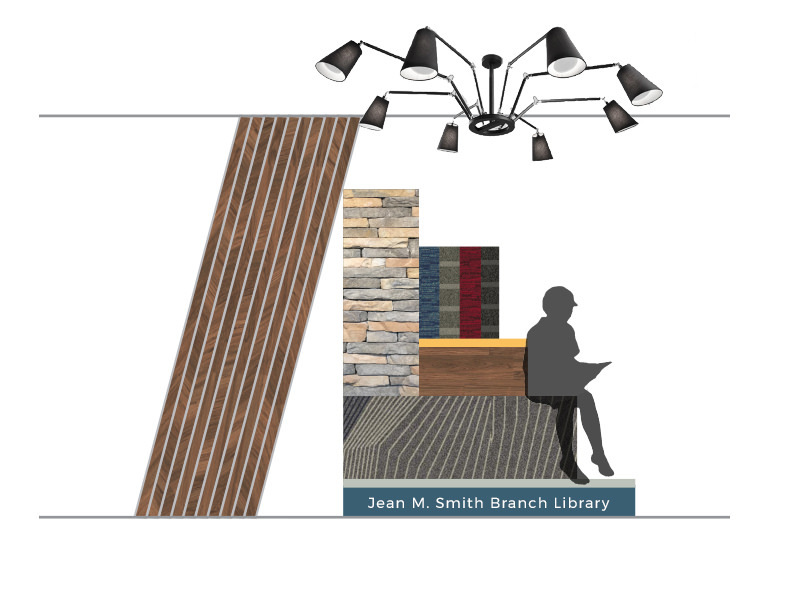 After the library’s one year closure for renovation, the combination of new textures, colors, and contemporary furniture will give the patrons and staff of Jean M. Smith Branch Library a welcome refresh for this much needed community resource.